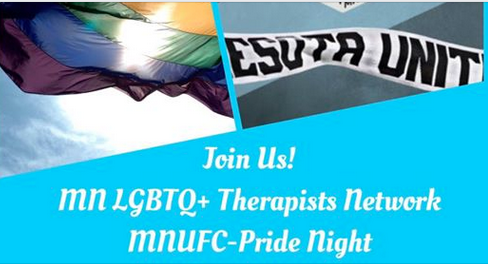 MN LGBTQ+ Therapists Network Members & Our Friends...Join us for MNUFC-Pride Night. Order your tickets through this link, which will automatically seat us together. Tickets are $25 each and will come to your email at least 48 hours before the game. A surprise MNUFC merchandise item comes with each ticket!